Activist investor Daniel Loeb may be gearing up for another boardroom battle after having amassed a big position in embattled natural gas producer Chesapeake Energy Corp (CHK.N), Loeb’s $8.7 billion hedge fund Third Point listed the embattled natural gas producer as its fourth largest position, according to emails the New York-based firm sent to several investors. Reuters reviewed a copy of the email. Investors and advisors must sometimes ask themselves this question: Do hedge funds justify their higher costs with better performance? Well, if we look at the past year’s track records, the answer would be no. Exchange-traded funds (and notes), it can be argued, are better mousetraps, since the best of them capture more alpha than hedge funds do. They are cheaper, to be sure. The average annual holding expense for eight of the largest exchange-traded products using key hedge fund strategies is just 70 basis points. Compare that to the typical “2 and 20” charges—2% of assets and 20% of incremental profits—that hedge funds impose. The ups and downs of John Paulson’s eponymous hedge fund, Paulson & Co., are well-documented. Paulson rose to acclaim for his prescient bets against sub-prime mortgage securities. Paulson, who has not been known as the media’s biggest fan, was featured on the cover of the latest issue of the Bloomberg Businessweek and was the subject of a wide-ranging interview. In the interview, he spoke a bit about his firm’s recent struggles. Goldman Sachs Group Inc lost an appeal on Tuesday against a $20.6 million arbitration award won by creditors of bankrupt hedge fund Bayou Group. Goldman had argued the arbitration panel disregarded the law in handing Bayou investors a win, an argument rejected by the 2nd U.S. Circuit Court of Appeals. JPMorgan Chase & Co is in the news with some frequency these days, primarily for its corporate risk management practices. We examined the firm in its capacity as a Securities and Exchange Commission registered investment advisor. JPMorgan came up very high on our list of regulatory violators in a recent industry research report our firm prepared on private fund advisors. Specifically, JPMorgan had seven categories of significant adverse regulatory events. Everbright Capital Management Ltd., backed by the state-controlled China Everbright Ltd., will start hedge funds this week as Chinese firms lure managers from international banks. The first two funds will be initially run by investment teams led by Ali Ahmed, former global head of equity trading at Royal Bank of Scotland Group Plc, and Adam Weinrich, previously a managing director at New York-based hedge fund Jana Partners LLC, said John Shen, Everbright Capital’s Hong Kong-based chief investment officer. The glass ceiling is very much unbroken in the hedge fund industry, according to a new survey. More than eight in 10 women in the hedge fund and private equity industries feel their gender has affected their likelihood of having a successful career, Financial News reports. The overall number from FN’s Women in Finance Survey is 66%. A hedge fund has launched an unsolicited $64 million bid for Christopher & Banks, the struggling, Plymouth-based women’s clothing retailer. Aria Partners, based in Los Angeles and Boston, offered to buy Christopher & Banks for $1.75 a share — a 50 percent premium over the company’s closing stock price Monday. News of the offer sent Christopher & Banks’ shares soaring Tuesday — closing at $1.39 a share, an increase of 20 percent. Capital Support has announced the appointment of ex-RAB Capital CTO Ray Bricknell as Head of Technical Services and a role on the senior management team. Ray joins the firm to help expand, enhance and further improve Capital Support’s portfolio of services and solutions for hedge funds and private equity managers. The hire highlights Capital Support’s ambitions in the alternative asset management industry given Ray’s background and the desire to provide the personalisation of enterprise IT services and delivery. With over thirty years of experience in the IT industry successfully delivering technology solutions, his previous roles include senior programme management positions at Prudential, Marsh McLennan and Barclays. A 66-year-old Encinitas man who ran a Ponzi scheme that scammed investors out of $4.9 million will surrender and begin serving his two-year prison sentence by July 9, according to federal court documents. John Clement created the fraudulent hedge fund Edgefund Capital, LLC in 2010 and ran it out of his home, authorities said. He attracted 22 investors and lost the money of 12, including one man who had invested $2.5 million. Hutchin Hill, an alternative asset manager gained recent fame from its trades against JPMorgan Chase & Co. (NYSE:JPM) “London Whale.” The fund has some interesting new positions according to people familiar with the matter. Hutchin Hill was founded in July 2008. The fund has about $1.16 billion in assets under management and follows a diversified strategy. Since inception the flagship hedge fund fund has returned more than 37%. In 2011 the fund lost 4.92% of its value, but so far this year it has returned 2.15%. For May, the fund was up 0.60%. The fund is up 2.7% for April, as previously noted. Veteran hedge fund investor Kurt Feuerman says institutional investors may be running a lower total exposure to US shares than they realise, partly as a result of their increasing appetite for risk-controlled ways to access the asset class, such as via hedge funds. Feuerman, who joined AllianceBernstein from 28-year old hedge fund Caxton Associates in June 2011, adds US pensions may now have reversed their 60/40 allocation to equities/bonds of 20 years ago. And if part of the equities exposure is via flexible hedge funds – to achieve ‘non-correlation’ – then their final net exposure to shares may be even lower. Ray Dalio founded Bridgewater Associates, a “global macro firm” in 1975. The investment firm serves a wide range of institutional clients and even manages money for central banks and foreign governments. It currently has $122 billion in assets under management. Bridgewater Associates applies a global macro investing approach. It relies on qualitative and quantitative methods to spot new investments opportunities. The hedge fund’s objective is to build portfolios with statistically uncorrelated investment returns based on risk allocations. Hedge fund platform and risk management firm HedgeMark International has hired three business development and marketing execs from Nighthawk Partners. Steven A. Lonsdorf, the former Nighthawk president and CEO, joins HedgeMark as president and chief compliance officer of HedgeMark Securities, the distribution arm of the managed funds platform. 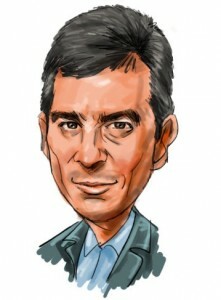 Prior to Nighthawk, Londsdorf served as CEO of Van Hedge Fund Advisors, a developer of hedge fund databases and ranking systems. The head of research at FRM has become the first senior departure from the fund of funds manager since it was acquired by Man Group in May its plans to acquire the fund of funds manager. Michael Burton, who has spent over a decade at FRM, will leave on August 1 to join single manager hedge fund Marble Bar Asset Management as chief executive, according to several people familiar with the situation. If Robert Diamond can’t recover in banking after resigning as Barclays Plc (BARC)’s chief executive officer amid the firm’s record regulatory fines, he would still be a sought-after prospect in another field: investment funds. Diamond, 60, could easily start a new career at a private- equity firm or hedge fund, according to executive recruiters in the U.S. and the U.K. It’s a path worn by ousted heads of financial firms including former Fannie Mae CEO Daniel Mudd. Diamond’s chance of getting another job leading a big, publicly traded bank is slim, the recruiters said. London-based hedge fund firm Cube Capital has sold positions in bank debt and stocks during the market rally of recent weeks, betting that prices will fall back again as the euro zone’s ongoing debt crisis continues to drive big swings in markets. However, senior portfolio manager Nick Linnane said the growing scandal over the rigging of the Libor interest rate – which on Tuesday saw Barclays CEO Bob Diamond quit and which has seen investigations into more than a dozen banks – looks unlikely to affect the price of bank subordinated debt. Hedge fund manager David Einhorn told investors that his flagship Greenlight Capital LP returns were nearly flat in June and are up 3.7 percent for the year, an investor in his fund said on Tuesday. Einhorn and Daniel Loeb, another New York-based fund manager who runs Third Point LLC, are among the most punctual managers releasing their first half numbers to investors only hours before the July Fourth holiday when U.S. markets will be closed. Hedge fund manager David Einhorn is raking it in again – this time at the World Series of Poker tournament in Las Vegas, where he stands to win a record-breaking prize of $18 million. The founder of Greenlight Capital is one of eight players left in the No Limit Texas Hold’em event, down from the 48 entrants who started in the tournament Sunday. His rivals include poker pro Phil Hellmuth and Cirque du Soleil creator Guy Laliberte. It may be early days, but speculation Europe can make progress resolving its debt crisis, coupled with the prospect of further stimulus in China and the U.S., is encouraging brokers to suggest possible plays on big names in Aussie iron ore. Moelis & Co. analyst Craig Lang has two pair-trade ideas: going long Rio Tinto and short BHP Billiton, or going long Fortescue Metals Group relative to BHP or Rio, for investors looking to add some risk to their portfolio as their optimism is rising. Hedge fund manager David Einhorn, the founder of Greenlight Capital, is on Twitter @davidein and he’s been live Tweeting throughout the World Series of Poker tournament. Einhorn, who now has more than 2,600 followers (he had just over 1,200 yesterday), only follows one person and his name is Daniel Roitman @droitman. Roitman is the Chief Operating Officer at Greenlight and he’s been working at Einhorn’s hedge fund since 2003, according to his bio on Bloomberg BusinessWeek. He is also Einhorn’s fraternity brother in the Sigma Alpha Epsilon fraternity. The Securities and Exchange Commission today announced the appointment of Ken C. Joseph to lead the Investment Adviser/Investment Company Examination Program in the agency’s New York Regional Office. Mr. Joseph has worked for the past 16 years as a Staff Attorney, Branch Chief, and Assistant Director in the SEC’s Division of Enforcement in Washington, D.C., and New York. Most recently, Mr. Joseph has been an Assistant Director in the Enforcement Division’s Asset Management Unit, where he has played a leading role in cases involving investment advisers and investment companies, including hedge funds and private equity firms. In his new role, he will manage approximately 100 accountants, examiners, attorneys, and support staff involved in the examination of investment companies and investment advisers in New York and New Jersey. As the global financial landscape becomes more heavily regulated and previous sources of capital either stay away from the market or are prohibited by regulators, sovereign wealth funds are likely to gain in prominence, according to Massimiliano Castelli, Head of Global Strategy for Sovereign Wealth Funds(SWFs) at UBS Global Asset Management. In a recent interview on Opalesque Radio, Castelli, explained that the global economy is entering into a,”war for capital,” which will make traditional sources of capital more scarce, but may also provide increased opportunity for SWFs which have more flexibility when it comes to investing. Currently, SWFs manage approximately $5tn in assets, a larger sum than the amount of assets managed by hedge funds or private equity but still less than that managed by the largest institutional investors or insurance companies. This number is rapidly increasing, however, and Castelli forecasts that it will reach between $8-10tn by 2016. Louis Bacon of $15 billion Moore Capital Management was the subject of an AR cover story that described him as a “macro maestro.” He might need to compose himself a bit after the past year. Moore’s $4.1 billion Macro Managers fund, much lauded in the article for its diversified manager base, dropped 2.57% in2 011, compared with a 1.17% rise for the AR Macro Index. The firm’s $6.3 billion Moore Global fared similarly, shedding 2.21%. The funds are up 1.96% and 0.49%, respectively, in 2012 through June 14, according to an update from HSBC Private Bank. Firmwide assets have held steady, AR’s Billion Dollar Club rankings show. In 2009, Phil Falcone told the Harvard Crimson, the newspaper of his alma mater, “I try to always never forget where I came from. I’ve never let money intimidate me, and even today, I never intimidate with money. Because it’s just money.” Perhaps the saddest part of Phil Falcone’s downfall is his failure to remain humble and deferential to his modest upbringing. Growing up poor in Chisholm, Minnesota, a small town of 5,000 people, he was the youngest of nine children living in a three-bedroom house, the son of a utility superintendent father and mother who toiled at a shirt factory. The Minnesota hockey star attended Harvard on financial aid, where he played on the hockey team. In the span of 12 months, the Active Bear Exchange-Traded Fund has become a wirehouse darling. The fund has multiplied its assets eight-fold from $40 million in assets in January 2011 to $319 million at press time. HDGE is an actively managed fund whose strategy is to invest only in short positions in the securities it chooses. The fund is managed by former hedge fund managers John Del Vecchio and Brad Lamensdorf, who now are portfolio managers for Ranger Alternatives in Dallas, Texas. Since inception on January 26, 2011, the fund has returned -2.58% as of June 27.